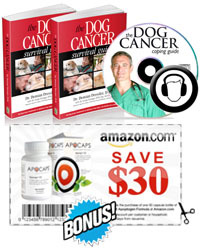 Thinking about looking into Chinese medicine to help your Tripawd live a healthier life? You’re not alone. Every day, more dog parents and veterinarians are open to the idea of incorporating ancient treatments such as acupuncture into their treatment protocols. Chinese medicine seems mysterious to many Westerners, but it doesn’t have to be. 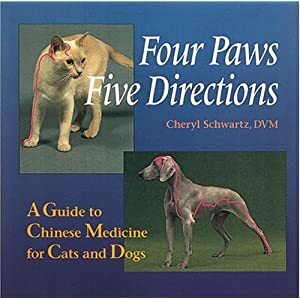 Turn to Dr. Cheryl Schwartz’ book, Four Paws, Five Directions: A Guide to Chinese Medicine for Cats and Dogs to learn the basics of Traditional Chinese Medicine (TCM). Dr. Schwartz is a world-renowned holistic veterinarian in the San Francisco Bay Area who’s dedicated her life to helping animals feel better through Chinese modalities such as acupuncture, acupressure, tuina massage and herbs. Most importantly you’ll learn how to practice and incorporate Dr. Schwartz’ recommendations at home. This isn’t a light read but if you’re serious about utilizing holistic, Eastern medicine into your animal companion’s life, Four Paws, Five Directions is a must read and highly recommended for laypeople and veterinarians alike. As one of the first American veterinarians to embrace Eastern medicine in everyday practice, Dr. Schwartz educates and train veterinarians and has helped thousands of animals around the world through her Heal – Learn Institute. She regularly teaches courses for veterinarians as well as pet parents. Dr. Schwartz is on the Board of Advisors for the American Journal of Traditional Chinese Veterinary Medicine.